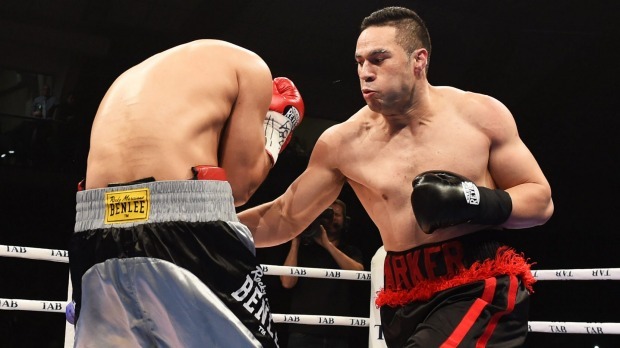 Former WBO heavyweight champion Joseph Parker 25-2 (19) is eyeing off a fight against Dereck Chisora 29-9 (21) in the UK. The 35-year-old British veteran delivered a compelling performance against WBC and WBO number one contender Dillian Whyte 25-1 (18), leading on two of the judges’ scorecards when he was knocked out in the 11th round last December. “I think at the moment my team is focussing on Chisora,” Parker told talkSPORT. “There’s other options, but I think that’s the one that sort of stands out to us at the moment. Stylistically, the fight makes sense. Chisora likes to bang and Parker isn’t averse to trading in the trenches himself. The fight could land on Whyte’s undercard on April 20. “I’m ready for war. I know he likes to go to war,” continued the 27-year-old New Zealander. Parker fought an entertaining fight against Whyte last July, losing a unanimous decision in a competitive bout. The Kiwi was on the deck twice but rally to drop Whyte and almost finish him off in a thrilling final round. Parker, whose only previous loss was on points to unified heavyweight champion Anthony Joshua 22-0 (21) last March, rates Whyte the bigger puncher of the two Brits. “Well obviously Dillian dropped me,” Parker said. “So of course he hits really hard. There was a lot of punches that he threw in the fight that got me stunned, but I just fought back.